Thanks so much for making the mortgage process so painless. I appreciated the advice and information you provided, and that you then allowed me to make my own decision. Also that you put up with my indecision over whether to go variable-interest or fixed! Uzma and I would like to thank your whole team in making our current and previous mortgage experiences seamless and happy ones. We both appreciate the pleasant atmosphere, top notch and timely customer service at your office. Your role as our mortgage expert instills confidence in us. We hope to continue this relationship in future years. My wife and I were looking to consolidate our expenses to ease the burden, and we were referred to Tracy Valko by our current mortgage provider. When we spoke to Tracy about our needs and what we wanted to do, she found us the best possible solution, which would ease the financial strains. She shopped around to get us the best possible mortgage rate and consolidate other expenses. Tracy and her team always kept myself and my wife informed and up to date on the progress of our application with the lender in the best and professional manner, making the whole thing for us run so smooth. We would definitely use Tracy and her team again, and refer her to our friends and family. Thank you Tracy and to your team for all of your help! Truly appreciated! Tracy Valko has been in the finance and banking business for over 16 years, and is a leading Mortgage Broker in the Tri-Cities area. Tracy and her team truly stand out when it comes to working with their clients. With honesty, integrity, commitment and professionalism at the core of their values, The Valko Team can help deliver the products and services you need to reach your financial goals! “I pride myself on each of my clients not just being that a “client” but being apart of there journey in life. From first time home buyers to upgrading their home for the expansion of their family. Whichever the path my clients take in life I am always there to provide financial advise on the best options for their mortgage. Providing strategies for my clients on mortgage financing for one of the largest investments most people will make in life is a #1 priority to me. The Valko Team is very proud to announce that Tracy has become a member of Mortgage Professionals Canada! 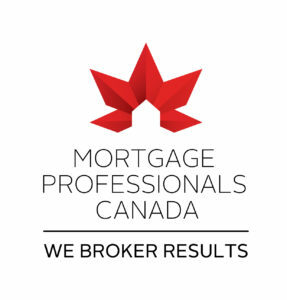 Mortgage Professionals Canada works as the voice of Canada’s mortgage broker channel, and to be the leading authority on mortgage issues. They are a leader in our industry for education and leadership! As of late, Mortgage Professionals Canada, along with Mortgage Brokers, Agents and other industry professionals have been advocating against the recent guideline changes made to mortgage lending. They are working to lessen these restrictions, and help to normalize the real estate market that we are seeing today, making it easier for you to get the house of your dreams! Whether you are first-time buyer or an experienced buyer with excellent credit, Dominion Lending Centres has access to the very best products and rates available across Canada. Contact us today to find out more. Canadians today have many reasons to refinance their mortgage - you may have been working at improving your credit score and now qualify for a new mortgage with a better discount, or you may want to stabilize your payments by changing from a variable rate mortgage to a fixed-rate. Here at The Valko Team, we pride ourselves on being your industry leading experts that can find you the best product to fit your needs – with a great rate! Sign up below to be reminded 120 days before your renewal date so you can lock in the best rate available. Please note: You will receive an email after submission confirming your enrolment to our reminder system.